So I attended the Midlands Fashion (MFDA) pre-show Networking Soiree last thursday evening at Sirlings Bar in Birmingham. Having never attended anything like this before I had no idea to what expect, however the Twitter feeds coming through from them MFDA sounded friendly and exciting so I was hoping the event would have the same feel. The event was relaxed and informal, which I believe was a good thing as it helped conversation beyond the obvious pleasantries. The venue was a good choice also – a cool, sophisticated place located just off St.Pauls Square. One more little bit of feedback for next years event – a little more structure would have been beneficial – just in the form of announcement of when the short fashion show was about to start. Also as the models walked through some presented information of the designs, the designer and maybe gesture to their presence, if they were there, would have been nice. All in all it was an interesting and different night. I met with a number of the designers nominated for this years finals – it was encouraging to hear how keen and excited they were. The MFDA is a good and positive thing. 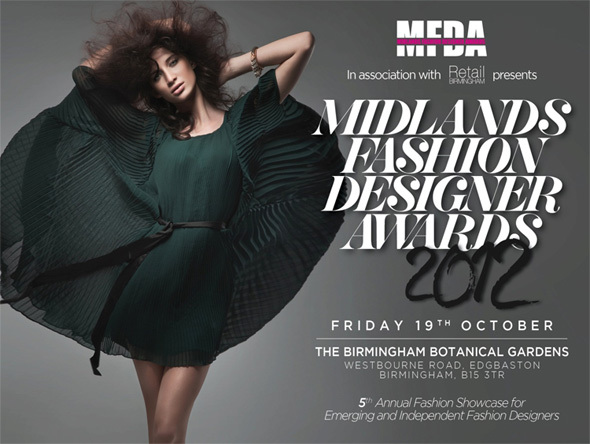 Fashion is a hard industry to breaking to, and what MFDA are offering is that little helping hand for new and aspiring designers in the Midlands, to showcase their work. Also offering them the opportunity to meet with members of the industry – any of whom could prove to be their second step forward in to the fashion business. One of the finalist in particular, Faye Teresa, a print textile designer, was so humble and appreciative of the opportunity that in my mind, it convinced me that the people at MFDA are doing a good job and that the awards are offering great opportunities. I look forward to the main awards on 19th October. I think one of the most glorious things a woman can do in fashion, with their style, is to be entirely content and confident with their femininity and sexuality to wear masculine and androgynous type clothing. The epitome of this is a women wearing a tuxedo. Really, a tuxedo is absolute masculinity; he sharp, clean lines of a tailored tux is constructed to show a mans shape, to make them stand powerful and protective. For a woman wearing a tuxedo she has to have the confidence to be able to stand tall and feminine alongside these men. 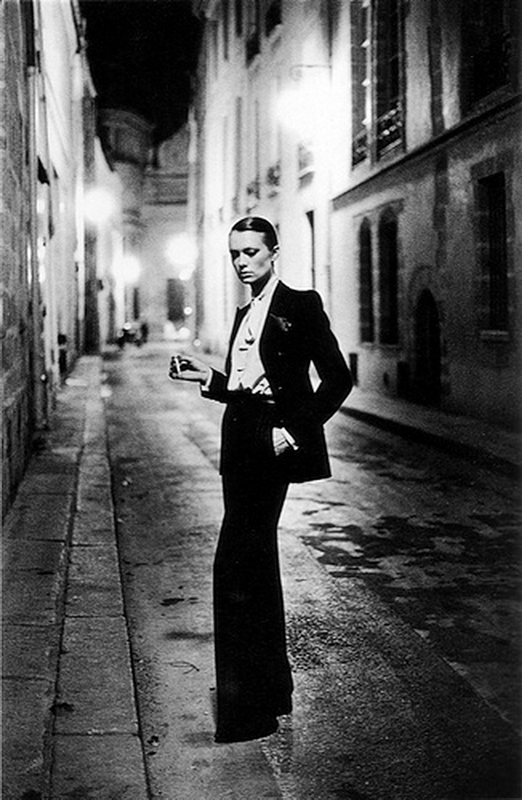 Saint Laurent is the genius we need to thank for introducing the world to the women’s androgynous tux. In 1966, at his couture show, a model was sent down the catwalk in his ‘Le Smoking’ tuxedo. It comprised of velvet trim black pantsuit, white shirt with ruffled cuffs, complimented with a large black bow tie and high-heeled black satin boots. ‘Le Smoking’ became iconic. The Helmet Newton 2004 photo for French Vogue encapsulated this look. A photo that has been reproduced and reused many many times. It is one of my most favourite fashion photos. Keira Knightley did a shoot for Elle magazine back in 2008, where she sported a mink jacket, wide legged satin pants and waistcoat, white shirt (all by Hermes), a white bow tie, two-tone wing-tip brogues (Church’s) and a Patricia Underwood wool hat to complete the look. It is a stunning shot and stunning styling. Janelle Monae. Style icon? I think so. 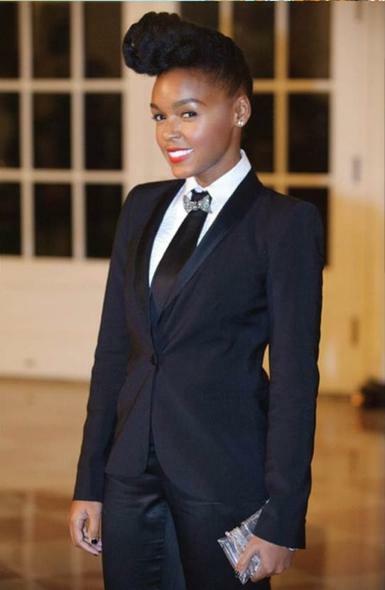 Janelle dresses her signature tuxedo-type suiting impeccably. She varies this style effortlessly making it look the same, but not the same, alternating ruffle neck blouses, crisp white shirts, braces, classic bow tie, ladies bow ties, reverse colour combinations, but almost always opting for classic black and white. Just brilliant. Having loved this look for so long, I decided try it for myself for a party last year. I nearly faltered at the last moment and wore a dress, however I thankfully regained my confidence in time. My outfit definitely did not comprise of couture designers, instead I wore H&M velvet jacket, Nicole Farhi trousers, Reiss shirt, Marwood lace tie, and Kurt Geiger patent leather high-heeled shoes. I looked different to everyone else. And do you know what? I felt amazing – I don’t think I had ever held myself so well. It is the best outfit I have ever worn. The women’s tuxedo will never go out of fashion. Try it. Confidence, sexuality and femininity. It is a powerful combination. 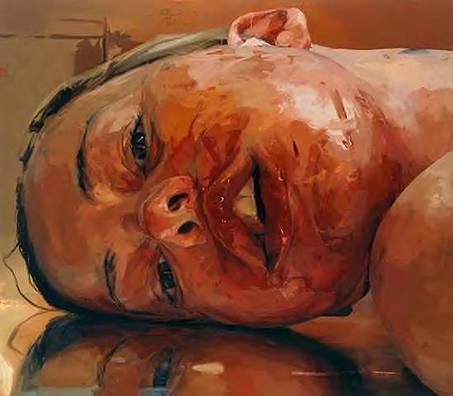 I was first introduced to the work of Jenny Saville earlier this year on a great and lovely visit to Tate Modern. I was shown her work whilst browsing the excellent bookshop there, and was lucky enough to receive a brief but engaging introduction to the artists work. From there on in I was a fan and was glad to read and see any reference to her work. On a brief trip to Oxford the other week I noticed a railway station advert for a Jenny Saville exhibition at Modern Art Oxford. So I had to go. Jenny is from Oxford which I guess is maybe the reason she chose this city as the place for her first Solo Exhibition in a public gallery. Upon entering the gallery, I was first struck by the size of her drawings and paintings. I never realised she worked on that scale. I was pleased by this because I could then revel in the brilliant loose daubs and strokes of paint she uses in her paintings. The scale made these even more impressive. On display were a collection of some of her recent multi-aspect and multi-layered drawings and studies of mother and child. I had not seen these before so they quite surprised me. In the gallery’s main space you are presented with a good number of her most well known and recognised paintings: ‘Reverse’, ‘Torso II’, ‘Bleach’, ‘Hyphen’. Her paintings are amazing to look at in a book, but wow, in person they are astonishing! I love her brush work; the strokes look completely randomly placed but create the image without effort. The colours used to highlight differing skin tone is so descriptive but is without question. In ‘Bleach’ they eyes were so life like that I walked right up close to see what was reflected in them – I swear I could see a sea scape with jutting rocks. The light and life in them were incredible. In her paintings I see absolute beauty; of form and colour. But I also see resigned apathy which makes some quite hard to look at I think. Like the people in them are waiting for you to challenge their resignation and their apathy. This is just my opinion though. I wonder what your thoughts are? It is a really great exhibition and well worth a visit. Go and see it and let me know what you think. The exhibition is on until 16th September. I haven’t read or saw or watched or found anything to share with you this time. I want to write about what an extraordinary week of emotions I have had; I was very sad at the start of the week, really quite upset, wondering how to bring myself out of the despondency. Now this sounds odd, but I decided last minute to have a change of hair style…Lol :) This always works for me in bringing me out of a slump – silly I know, but it makes me feel and think differently, about situations and life, and about myself. By the end of the week I was laughing and smiling a lot and I am now feeling pretty positive. I am very grateful for all I have, for my family, and for my friends, who are just ace. That was unexpected, but actually very lovely indeed. 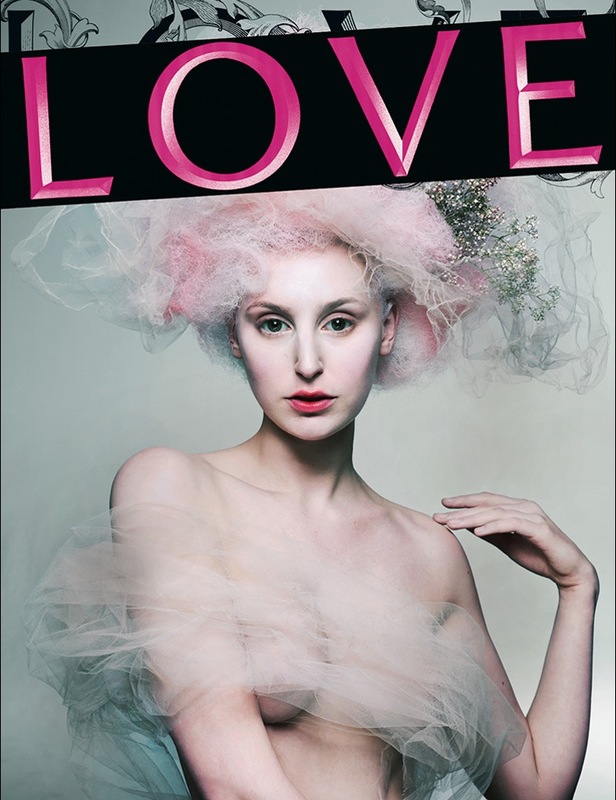 Just bought issue 8 of Love Magazine – their Autumn/Winter 2012 edition. LOVE is such a balanced, considered, provocative & indulgent publication. The fashion, art and creativeness on display is sumptuous, making you want to be part of that world. 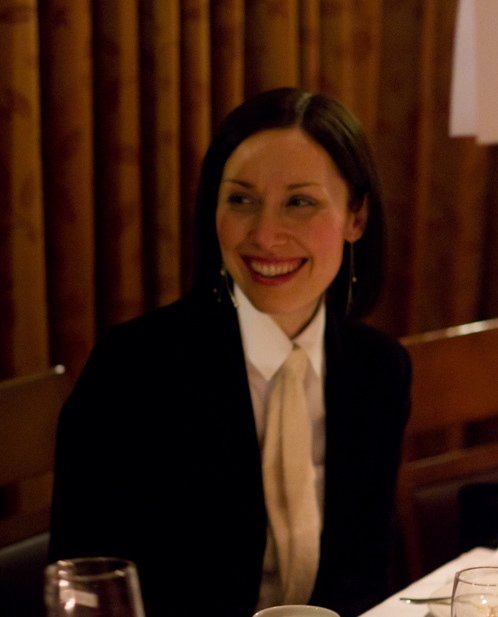 Katie Grand is an incredible magazine and fashion editor. The content, ideas and design she imagines are inspiring. I like that she is not conventional. Boundaries are pushed. Also that she is not afraid to shock at times. Each issue is a real bible of fashion, art and photography. And before you even reach the content you are invited to admire the wonderful campaigns from the very best designers. The whole issue is such a treat. If you enjoy creativity of any sort, even just a little bit, then go and buy LOVE and fall in to the beauty.